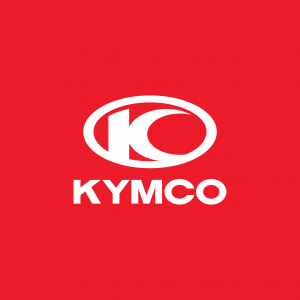 Customers have turned to KYMCO for unmatched quality, unsurpassed capability and unequalled value for more than 50 years. With annual sales and revenues of more than $1.34 billion, KYMCO is a recognised global leader in the manufacture of scooters, all-terrain and utility side-by-side vehicles. A group of Taiwanese businessmen partnered Japan’s Honda Corporation to found KYMCO in 1963. The Japanese influence introduced an unrelenting focus on constant improvement and quality. This year, KYMCO will produce more than 1.2 million vehicles for export to 100 countries. Since the first KYMCO product was introduced in Australia more than 20 years ago, KYMCO Australia has positioned itself as a market leader. The product range is renowned for delivering the year-after-year durability, advanced product features and marketplace staying power required to excel in Australia’s diverse and demanding conditions. All KYMCO products are distributed and serviced through a dealer network with locations Australia-wide. KYMCO dealers deliver professional service, expert advice and great deals on KYMCO products. Backed with immediate access to an extensive spare parts inventory you can rely on your local KYMCO dealer to provide the superior after-sales service and support you demand. You can also count on your local dealer to help you finance your KYMCO product with a flexible, tailored finance solution from KYMCO Finance. KYMCO is distributed in Australia by locally owned company, Mojo Motorcycles. In 2014, Mojo Motorcycles celebrated their tenth birthday by opening a state of the art head office and warehouse in Melbourne, Victoria. For 50 years we’ve been on a bold, brash, unrelenting search to deliver unmatched quality, unsurpassed capability and unequalled value. It’s a search that’s made us the number one manufacturer in Taiwan and taken our exports to more than 100 countries. It’s a search that’s created partnerships with BMW, Artic Cat and Kawasaki; a search that’s in our DNA. Every farmer, every land owner, every inner-city commuter and every cross-town rider, that rides KYMCO, rides our results – 50 years of quality, capability and value. About KYMCO from KYMCO on Vimeo. Unmatched quality acknowledges the year-after-year durability of KYMCO products. KYMCO has more than 50 years of manufacturing history and is trusted to produce vehicles, parts and components for the world’s biggest motorcycle brands. Unsurpassed capability describes the advanced product features and, the outstanding product and ownership experience a KYMCO owner will enjoy. KYMCO products offer forward-thinking product features that deliver great performance in all conditions. Unequalled value acknowledges KYMCO’s down to earth vehicles and the real value for money they represent. When unmatched quality and unsurpassed capability are combined they create unequalled value – great products offered at a terrific price point. Stay in the loop with the latest KYMCO information covering achievements, technology, vehicle news and events. We’re currently accepting expressions of interest from suitable dealers looking to carry the exciting KYMCO product range. Our Australia-wide network of dealers provides expert service and knowledgeable advice about KYMCO products, finance and parts. KYMCO Finance is dedicated to financing all-terrain vehicles, side-by-side vehicles and scooters for KYMCO customers.